Vanilla Color Stabilizer (VCS) for Lotions and Washes prevents the vanilla in fragrance oils from turning lotions and liquid wash formulations brown. It will not prevent color changes due to ingredients other than vanilla. Must use in a well ventilated area. For Lotions, Creams, Body Wash and Body Spray. To prevent fragrance oils containing vanilla (vanillin) from turning lotions and washes brown. Lotions. Liquid Washes. Scrubs. MP Soap Base. This product was formerly called "Vanilla Color Neutralizer". It prevents the vanilla in fragrance oils from turning formulations brown. It will not prevent color changes due to ingredients other than vanilla. Must use in a well ventilated area. COMMENTS: For anyone who LOVES LOVES LOVES Lush's "Twilight" (aka: "Sleepy") scent, I DARE you to smell WSP's AMAZING "Black Amber & Lavender" FO & tell me that doesn't smell remarkably similar to it!! So when WSP offered their exquisite "Shea Butter & Aloe" lotion base on sale last week, I couldn't resist making a frivolous batch of lotion all for me with this OUTSTANDING fragrance (and base)! This Vanilla Color Stabilizer for lotions & washes ensures my awesome new lotion won't turn brown or tan on me while I enjoy the entire pound of it all to my selfish little self! I'm very happy with this product because it does the job, and the price is great! If it's imperative that your handmade goodies don't darken due to vanilla content in your fragrances, this VCS is a MUST! I HIGHLY recommend it! "This is easy to use and important to have on hand"
COMMENTS: Love this because my lotions remain white! I do not add color to my lotions because I like the white look. I make large batches and never has one turned brownish because of this stabilizer! COMMENTS: Works great at keeping lotion white when using a fragrance oil with vanilla. COMMENTS: I always use the required amount with thevanilla based fragrance oils. It helps the colors the last so much longer. "Vanilla Color Stabilizer - Lotions"
COMMENTS: I have never had an issue with discoloration using this product. It's a staple when making lotions! COMMENTS: I love this! Really helps to keep my products from going brown over time due to the vanilla in certain fragrances. COMMENTS: Works just as it should, I've not had one lotion turn any color other than white. COMMENTS: This is a must have item for me! I use a lot of fragrances that contain vanilla, so to keep my soaps and lotions from looking gross I use this, and it has been working great! Definitely don't smell it straight from the bottle though. It stinks! And its strong! My sister was helping me make some lotions and she took a big whiff and very quickly regretted it. Lol. The good thing though is the smell does NOT linger in your products. If you want to keep your great smelling products looking colorful or even just bright white, you will want to grab some of this. COMMENTS: While this product (vanilla color stabilizer) has consistently done it’s job of preventing discoloration in all the products I’ve used it in, I hate using it. The chemical smell is so potent, and it’s ruined some of those products. I couldn’t sell them because the chemical smell came through and was both unfixable, and unacceptable. In MP soap, it’s been fine, but creams...It just stinks. Period. COMMENTS: I didn't have any stabilizer for my soap so I tried this one for lotion and it worked. COMMENTS: This stuff hasn't failed me yet. None of my lotions or liquid soaps have discolored. It does have a smell but I don't find that it carries over into the finished product. "Crafters Choice™ Vanilla Color Stabilizer - Lotion"
COMMENTS: Works well and keeps my lotions from turning color. COMMENTS: Really kept my lotion white. COMMENTS: Used in whipped body butter. Works great! COMMENTS: First time using-it works well! COMMENTS: I always use this if my fragrance has vanilla in it. Doesn't take a lot and well worth the price. COMMENTS: I love this product! Use it with any fragrances that contain vanilla and it keeps my items from turning brown. Will continue to purchase! COMMENTS: I can definitely tell the difference when I add it with my vanilla fragrance oils. I only use those oils without it if I want the brown shade. COMMENTS: Great Quality. Little to no odor. Works wonderfully. COMMENTS: Couldn’t make lotion without this product. COMMENTS: Great product for keeping my products from turning. "Vanilla Color Stabilizer - Lotions - Washes"
COMMENTS: Works great for keeping my lotions from turning brown. Please make sure you wear a mask when using. The scent is very stronger out of the bottle though it doesn't affect the fragrance. 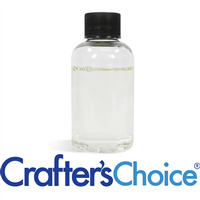 COMMENTS: Crafters Choice™ Vanilla Color Stabilizer - Lotions - Washes works great! COMMENTS: This stabilizer works perfectly for cold process soaps. Please use the recommended amount for full effect. COMMENTS: This stuff works great! COMMENTS: Works like a charm on my scrubs, body butter, lotions and whipped soaps. COMMENTS: I love my vanilla but without this you will end up with fifty shades of brown LoL!! This is a must have and works wonderfully. COMMENTS: Preformed perfectly! Awesome price! COMMENTS: It does keep the browning at a minimum BUT you cannot get rid of the horrible stench that this products emits! Mixed it properly but higher vanilla content requires a higher ratio and it totally overpowers the fragrance scent. COMMENTS: It does the job, but the drawback is that there is a little bit of an unpleasant fragrance initially in the body wash. It was an undernote but it does disappear. COMMENTS: Works great to prevent browning due to Vanillin in scents. "This is a needed product to have in your inventory"
COMMENTS: this is a needed product in your inventory when making body wash and lotions. COMMENTS: Prevents browning in my lotions. I also use it in my sugar scrubs even though there's no water in the formula. Better safe than sorry! COMMENTS: Worked great! No discoloration in any of my products so far. Thanks WSP!! COMMENTS: I made a vanilla whipped body butter and used this in it. The color has stayed nice and white without any color change. I will continue to use this in all my products that have vanilla in it. COMMENTS: This stabilizer has worked wonderfully for me, I'm no longer limited to what FO I can use in my products. Love it! "Vanilla Color Stabilizer is the best"
COMMENTS: A great product the keeps my products from turning brown. "An absolute must for fall fragrances!" COMMENTS: Many fall fragrances contain vanilla and this is absolutely needed for lotions and body washes that have those fragrances. It really does prevent the browning you get from using the fragrances that have a lot of vanilla. Not many people like brown lotions and body washes unless they are chocolate scented. COMMENTS: So far this works very well and is needed in anything that has vanilla in it. I make lotions and scrubs with this. COMMENTS: Made a lotion using a scent that had 16.5% vanilla content. Here we are about two weeks later and the lotion is still A pretty green color! No brown here!! COMMENTS: This is a great product, does what it says and didn't alter the scent of my bath bombs at all. COMMENTS: This vanilla color stabilizer works very well. does what it is supposed to do. Will purchase again. COMMENTS: I have used several times and it keeps my lotions from browning. One fragrance still turns a little over time but its not horrible. COMMENTS: The fragrance is too strong which almost overpowers the aroma in the fragrance oil. Even after waiting the recommended time, it still smells strong. It definitely stabilizes the color but the odor is too much. COMMENTS: Gives best results where vanilla is in the FO. COMMENTS: I had hopes that this vanilla color stabilizer would work better. I first used it as directed in a bubble bar recipe from this web site. It looked great for about a month but now my pretty confetti cake bubble bars have brown spots. The same is happy with my cold process soap. Since the vanilla content in your confetti cake fragrance is only about 3% which is lower than a lot of birthday cake type fragrances, I thought it would have been able to prevent the browning. COMMENTS: Really great stabiliser, worked extremely well in my cream! "Needed in most of my formulas "
COMMENTS: I started using this with lotions that have over .05% Vanilla Content. It is working to keep them from turning brown! Before, some of my lotions changed color and I explained it was due to the vanilla content, but now I don't have to explain. COMMENTS: Keeps products from browning...has strong odor but goes away....does not affect . "it is nice to use it get the color intended"
COMMENTS: not a fan of brown lotions and this product keeps my lotions from going brown!!! COMMENTS: This keeps my lotions from turning brown from the vanilla content. Love it. It works great. COMMENTS: This product really stinks OOB. Scent disappears in finished product, thank goodness. Works well in keeping vanilla dislocation at bay. COMMENTS: I love using this when I want my lotion to not change color and I am using an FO that has Vanilla in it, customers to not understand why their lotion is brown when it says vanilla. COMMENTS: This product works very well as promised. I took one star off because I would like to have the ingredients in it. Due to it's performance, I can live with just call it "fragrance". COMMENTS: I use this in my lotions and scrubs to keep the desired color when using fragrances with a vanilla content. Works like a charm. COMMENTS: It is a must have product if you need to have color stabilized. COMMENTS: Works perfectly, used with an FO that was 4.3% vanilla and my color didn't change at all. Will be purchasing again. COMMENTS: Used this for a high content vanilla FO soap that I wanted to keep white. I was surprised that the FO and stabilizer turns like rust color right before pouring it into the while soap - but the soap has remained white! COMMENTS: This product is wonderful. It keeps all vanilla products from discoloring. The other stabilzers for bar soap does the same thing. Please try them. Nothing else can do the job. "vanilla stablizer lotions and washes"
COMMENTS: I was uncertain whether I needed this product for my lotions but I used it and the color stayed true. COMMENTS: Couldn't figure out why my bath gels were turning brown and little did I know I needed this component to keep the vanilla ingredient in the product from turning brown. Good investment! COMMENTS: I LOVE USING THIS WHEN MAKING MY LOTIONS AND HAND CREAMS THAT CONTAIN VANILLA. COMMENTS: What can I say it did exactly what it said it would do. Mixes easy, and keeps my products from turning funny colors. Will buy again. COMMENTS: Really helps tone down the brown that vanilla causes. COMMENTS: Worked out perfect in my lotions. Mixes in easy. COMMENTS: Works perfectly in my Body Butters and doesnt allow the formula to turn brown. Definetly a must have at all times. COMMENTS: I use this in my lotions and bubble baths. So many FO contain Vanilla that you really need to keep this on hand in your soap kitchen.So far it hasn't let me down. COMMENTS: This product did help in keeping the color from turning brown. That being said, it changed the smell of my FO. Was disappointed in this area. COMMENTS: Has not failed me, works brilliantly, absolutely love this product! COMMENTS: I have used this in both Lotion bases and Melt N Pour bases, did not see a different. Just be mindful of your FO %. COMMENTS: Works very well in everything I've made. COMMENTS: I use this in lotion and liquid soap and I don't get any browning at all! COMMENTS: I use this in my body butter and it works like a charm! "A Must for Vanilla FOs"
"The product you didnt know you needed!" COMMENTS: It works great with FOs from WSP, but with ones from other suppliers who don't inform you of the % vanilla in their FO, its hit or miss. Also, when you use it in recipes that mix yellow liquid dye to get the right color, it seems that instead of turning brown, the yellow separates inconsistently over time to discolor in patches. COMMENTS: It sometimes takes a while for vanilla to turn in lotions… so hard to tell. But it has held up thus far and am happy. I will also try in other product types. I love WSP's videos - easy to work with. Warning (and as WSP also says)… don't sniff it - it is strong! COMMENTS: This stabilizer works very well in my homemade liquid hand soap and my body creams that have a fragrance containing vanilla! My pineapple coconut fragrance has vanilla because of the coconut fragrance I add. So far I've had no discolorations. Great product! COMMENTS: This product works great. I was having trouble with lotions turning brown and when I started using this I haven't had that problem anymore. I have alot of happy customers now. You have to be careful not to use to much or it will thin the lotion. "One of those must have tools of the trade"
COMMENTS: This product has worked very well for me. It does have a strong odor out of the bottle but that goes away when mixed with the fragrance and incorporated into the lotion. The fragrance comes through very nicely. Make sure you follow the directions in using it. This will be a required item on my shelf. "I left and came running back!" COMMENTS: When I first tried this product i was disapointed because of the extreme odor (although, the odor goes away with finished product), and the high price. I went to another supplier and purchased a stabilizer that was odorless and VERY inexpensive. Well....Im sorry I wasted my money on the other suppliers stabilizer! It simply did not work as well, I watched a batch of shower gel turn brown before my eyes with the competitors stabilizer so I decided to add wsp stabilizer to the same batch and viola...turned white! Worth the money for better end results! COMMENTS: Make sure you follow the directions and it works great! Will purchase again! COMMENTS: When first starting out I didn't know you had to use VCS and wasted a ton of money on products that turned brown or the colors ran together and faded. I am amazed at how this product works. I did not know there was a different kind for lotions until recently so you will need to buy both if you are doing M&P and Lotions. "Great for lotions and body butter"
COMMENTS: Great product for lotions and body butters. Mixes well with fragrances, doesn't alter the scent. "Works great, never an after smell"
COMMENTS: I use this with melt and pour soap and my colors stay true. It does smell strong out of the bottle but once mixed with the fragrance oil, it begins to go away and is completely undetectable in the finished product. "Easy to Use and Measure"
COMMENTS: I am so glad WSP carries this product. When I use it, I have no worries about my fragrances that contain vanilla yellowing (or browning--yuck!) my product. Mixes easily with fragrances and won't cause soap to seize. "Works great, a must for lotions with vanilla"
COMMENTS: This stuff is awesome. I love that i can get my lotions back to that creamy white color instead of brown. COMMENTS: I started making lotions and I use a lot of different fragrances that have vanilla so this is a must have product. COMMENTS: Great products! really helps keeping the lotions white. COMMENTS: So far everything I've used this with has kept it's original color. Will be using this product for all of my washes and lotions. Easy to use and works great! COMMENTS: The only stabilizer I will use. I couldn't be in business without it. COMMENTS: I love that you carry this product because I'm not able to find it locally. As a new soapmaker imagine the horror I felt to see that my beautiful loaf turned brown. I did some research, found I needed stabilizer and I came right here to this site because I knew if I needed it....you all would have it. I made more loaves using the stabilizer and now I can rest easy knowing they will keep their color. COMMENTS: Works well. Yes, chemical smell OOB, but I don't really care. Once it's in the product, the chemical smell is gone. The important thing is no more vanilla brown. "Keeps everthing from turning brown!" COMMENTS: This product is awesome. It keeps anything with vanilla from turning brown. Esp. like that your fragrance descriptions have vanilla % listed. COMMENTS: Excellent. Works great for soap. Definitely will be ordering more. COMMENTS: must have to keep product color from turning brown. COMMENTS: I really like the vanilla stabilizer used in my hair conditioner and melt and pour soap. It keeps my products from turning dark. It did not change the consistency of my products. COMMENTS: I use this in pretty much everything and it works extremely well. It definitely combats the discoloration due to the vanillan content. COMMENTS: I make HP lye soap. I sell it outdoors mostly. I can make beautiful vanilla cupcakes that sit out exposed to air and UV, and they stay cream colored, unless they are in direct sun, then they get a little golden. Prevents browning at least 6 months or more. Can't live without it!!! Works much better for me than the other vanilla stabilizer. COMMENTS: Use a a general anti browning agent. I had a wonderful suprise when it turn my brown formula back to clear right before my eyes. The secret is to mix it into the same phase with the product that causes the browning. In my case it was the water phase. COMMENTS: I bought this because of the reviews. In my mind, the ultimate test of this product was to use it in a coconut cream pie scented soap. So I used it and I can hardly believe how white the bar of soap is. I have used the vanilla stabilizer, and this blew it away. Please don't ever stop carrying this product! Thanks! "This one is a keeper"
COMMENTS: I highly recommend this one over the vanilla color stabilizer. Even though this one says in the description that it is for lotions and liquid washes, when you receive the bottle, the label also states MP soap. I bought both because the descriptions gave me the understanding that this one was for lotions and liquid washes, and the other was for MP soap. Anyway, they both have the same directions for use so I compared them, making several pairs of MP soap using the same fragrances, colors, and even clear. I don't know why the vanilla color stabilizer gets such good reviews because every one of those turned color on me and the soaps I made with this one held their color perfectly and the clear one stayed perfectly clear. This one is definitely a keeper, great product. By the way I but lots and lots of products from WSP and I have been absolutely pleased with all of their items, except for the vanilla color stabilizer. COMMENTS: This keeps my soaps and lotions from turning brown. It has a strong odor out of the bottle but that fades quickly. If you make anything with Vanilla for Bath and Body, you must use this. COMMENTS: Thank goodness for this product! Totally takes care of the browning problem if used as directed. Yes, the smell is off-putting at first but completely goes away after the product dries. Be careful though, it has the tendancy to change the color of some product dyes. COMMENTS: I have never had any problem with this product. It must be used exactly as directed. The odor is completely gone after the finished product sits for a few hours. I wouldn't use vanilla based fragrance oils in lotions and soaps without it. "This works in my Secret Recipe"
COMMENTS: Yes, it stinks but it worked so much better for me than the Vanilla color Stabilizer. I can't make my secret recipe without this. The scent fades after the product is dry. Please keep this one. "I don't understand how much to add to my lotion. I'm using 1.62 ounces in a lotion with the Oatmeal and Honey fragrance oil. How much vanilla stabilizer do I add? " Staff Answer You would mix the fragrance 2:1 with the stabilizer. If using 1.62 oz. fragrance, you would mix with .81 oz. stabilizer. "Two issues: 1) I used this in my bath Bombs and they completely , well, bombed. Is there something else I can use to fix the discoloration issue?, cuz this won't work for that product. 2) Since the fragrance that I'm using has 14% vanilla, it is recommended that I do a 1 to 1 ratio of the stabilizer to the FO. How do I adjust my recipe to account for all the extra liquid? Do I remove the same amount of water from the recipe that I use for the stabilizer? " Staff Answer We recommend using the Vanilla Color Stabilizer for CP Soap when making bath bombs. You might want to either cut back on the fragrance oil amount you are using or cut down on the water added to the recipe. I'm not sure if Staff will see this, but my dilemma is there is no water in my formula. That's why I don't know how to alter my recipe. I previously listed the ingredients. So should I just add more baking soda and citric acid or what?? Staff Answer Your fragrance should not be adding that much liquid to your recipe. If you are using rubbing alcohol or witch hazel, the fragrance along with VCS will replace some of that liquid. Try a batch first with the FO and VCS mixture and see what happens. You might be just fine. "Hello there. My bath bombs do not contain any water (SLSa, Baking Soda, Citric Acid, Epsom Salt, Cream of Tartar, fragrance oil, germall) but it still turns brown. Why?" Staff Answer Even though they do not contain water, bath bombs do discolor from fragrances containing vanilla. We are not sure the exact reason. We would recommend using vanilla color stabilizer for CP soap or staying with non-vanilla fragrances. "Do I put this on my ingredients list as fragrance? Do I put fragrance twice for the actual scent and stabilizer? " Staff Answer When the stabilizer is mixed with the fragrance oil it becomes a part of the fragrance and should be listed on your label as "fragrance" (only once). "Hello, I would like to know if this can be added to a Lotion after discoloration has taken place. I made a Lotion 6 months ago using a FO from another company, and now the Lotion has turned from a White to a yellow color. I am wondering if I can add this to the Lotion in accordance to the instructions to see if it would help or does this have to be mixed with the FO and then added to the Lotion? Appreciate your input. Thank You." Staff Answer Unfortunately, once a product discolors there is nothing you can do. You would need to add the stabilizer and fragrance oil during manufacturing to help keep the product from discoloring. So does this mean that by adding a Stabilizer that it makes the Lotion more runny/thin since we are adding extra liquid? If I am using 1oz Fragrance, I would have to use 2oz Stabilizer, meaning 3oz of liquid added to the Lotion. Staff Answer The most you would add would be an equal amount to your fragrance oil. If the fragrance has 10% or more vanilla, you would add the same amount of stabilizer, or 1:1. This does need to be figured into the total amount of additives if using one of our lotion bases. "I accidentally added to much to my body butter and it has a chemical scent what should i do? can my batch be saved by doubling the butters?" Staff Answer You can certainly double your recipe and not add any further stabilizer. For the future, products consisting of only oils, butters and waxes do not change color from vanilla. You only need be concerned with water based products. "I accidentally heated this up when melting my oils for my lotion recipe. The finished product has brown specks all over almost looking like air bubbles. Is this safe to use? " Staff Answer Unfortunately, we would not know if this lotion is safe to use. You would need to have this challenge tested at a laboratory to be sure your preservative is working. You may want to remake your lotion to be on the safe side. "Is this needed for whipped body butter made with shea butter when using a fo with vanillin in it? " Staff Answer If your product does not contain water, the vanilla in the fragrance will not discolor your product. "HI What is made from, the exact ingredients? " Staff Answer As with our fragrance oils, the ingredients are proprietary and we are unable to give you this information. "Do you use this in the foaming bath whip? " Staff Answer You can use this for the Foaming Bath Whip since it is stated on the website that this can be used in MP soap bases. You can also use the stabilizer for MP Soap. "I would want to use this one for Shower Gel correct? Also, if so how much would I use for a gal of shower gel? " Staff Answer Yes, this is the stabilizer you would use for shower gel. The directions are 2 parts fragrance to 1 part stabilizer in fragrances with a vanilla content under 10% and equal amounts if over 10%. How much to add depends on how much fragrance you are adding to the gallon. "Making MP soap but only have the vanilla stabilizer for the lotions and washes can this stabilizer be used the vanilla content is very low ?" Staff Answer We do state under Additional Information that this stabilizer can be used in MP soap, so you can use this for your soap. "I want to make a clear shower gel using sandalwood vanilla FO do I need to use this? Would be using the same recipe as the Lavender Fields body wash? Thanks Linda"
Staff Answer Hi Linda, you should use Vanilla Color Stabilizer for any fragrance that has vanilla content in it to prevent browning. So yes, it should be used with the Sandalwood Vanilla FO. Make sure not to exceed 5% additives in the clear shower gel base as this will render the preservative inactive. "Can this be added to BUBBLE CAKES to keep them from turning brown?" Staff Answer We typically use the Vanilla Color Stabilizer for CP Soap when creating bubble cakes or bath fizzies as we have found this one to work the best for this application. "I'm experimenting with making roll-on oil based perfumes and some of the fragrance oils I would like to purchase contain vanilla. I believe I read in one of the answers that fragrance oils containing vanilla don't tend to discolor butters, but will the vanilla discolor liquid carrier oils? " Staff Answer Hi Leslie - Great question! We have had success in making a roll-on perfume with fractionated coconut oil and a fragrance with vanilla without discoloration. Each fragrance oil and base oil is different so it is possible you could find a mixture that still discolors. The best way is to test out your recipe in a small batch, and see if it works. Hope this helps! "I watched the video on how to use and the lady said this is not for cold process soaps. Many have said they did use it in their cold process soap. Can you or can't you use this for cold process? Help!! " "Why do you need the vanilla stabilizer in this recipe and the bath fizzie recipe? I thought the stabilizer was only used for CP soap making? " Staff Answer Without the use of a stabilizer these will darken over time. In the past we tested all three types of stabilizers with bath fizzies to determine which one stood up to the pH level of a bath fizzie and our testes revealed that the Stabilizer for CP soap worked the best. That is why we chose to use the Vanilla Color Stabilizer for CP in this recipe. "Can I use this in bath salt and powdered milk bath recipes when I use a fragrance with vanilla content?" Staff Answer Our Vanilla Color Stabilizers have only been tested in MP/CP soaps, lotions and liquid washes. Adding a stabilizer to salts or powdered bath milks may cause a reaction or cause the salts and powders to dissolve creating an undesirable texture. I am afraid that you will need to test this with your formula to ensure compatibility. "How much vanilla stabilizer should be used in this recipe. " Staff Answer Vanilla Verbena Fragrance Oil has a vanilla content of 7%. The directions for the Vanilla Color Stabilizer for Lotions and Washes recommends a usage rate of 2:1 for fragrances with less than 10% vanilla. Using this information that would mean that for this recipe which uses 15ml fragrance, you would need to add 30ml Vanilla Color Stabilizer to your fragrance and let it set for 15 minutes before Using it in our Vanilla Verbena Bubble Bath recipe. "I've heard there are vanilla stabilizers that have a strong odor. Also, that it over powers the FO used. Does this product have any of those issues?"